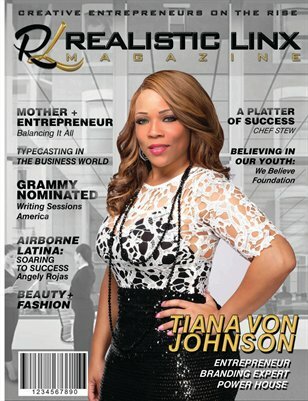 Realistic Linx magazine is a quarterly print & digital publication that is obtainable world wide. The magazine serves as a platform in which creative entrepreneurs of all sectors can further their exposure to excel their brands notoriety. Through widespread press coverage, features and advertising, the brand, business or talent at hand can continue to establish themselves to an audience worldwide leading to the ultimate success which every entrepreneur seeks to acquire. Realistic Linx Magazine plays an essential role in the achievement of the indefinite success of the aspiring ,the established and the continued success of an entrepreneur.